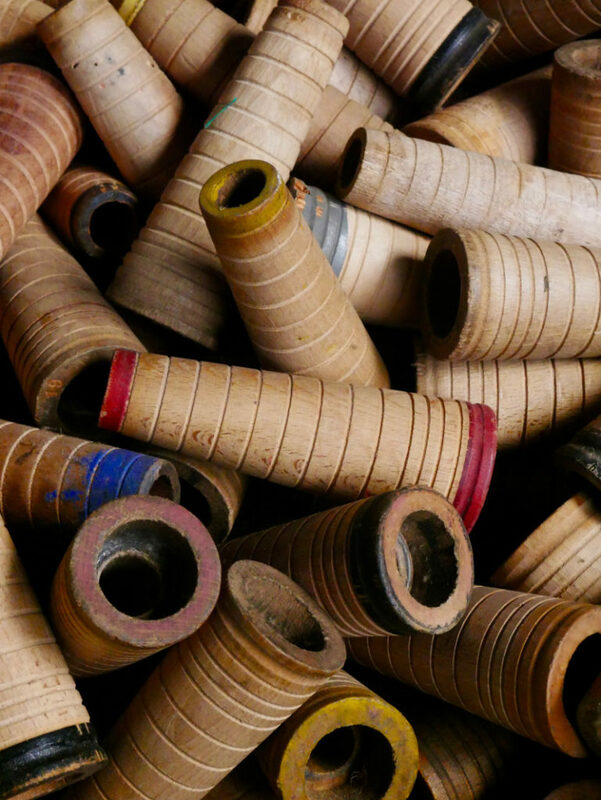 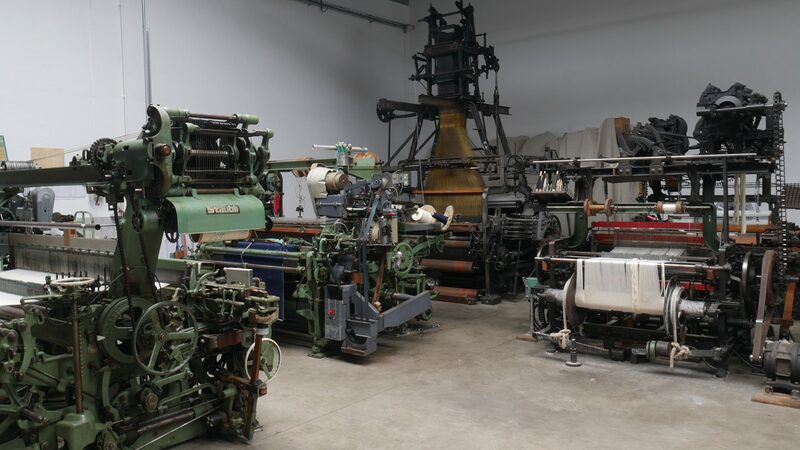 We gathered every machine needed to turn yarn bobbins into fabrics. 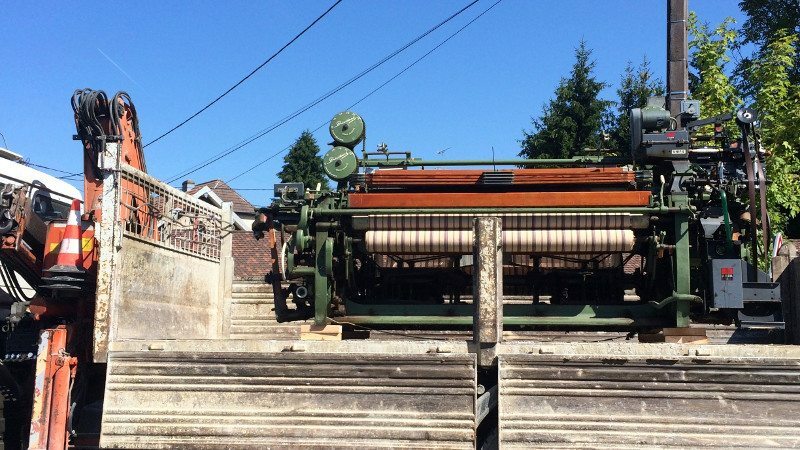 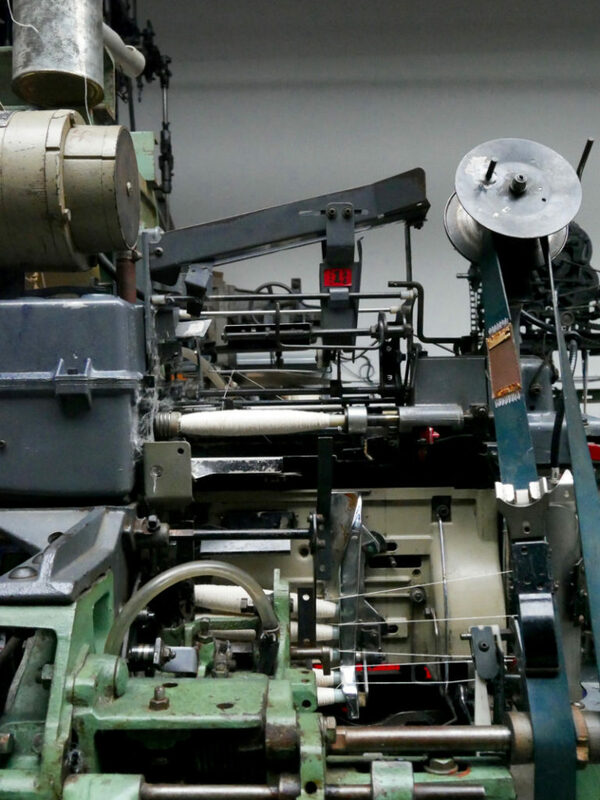 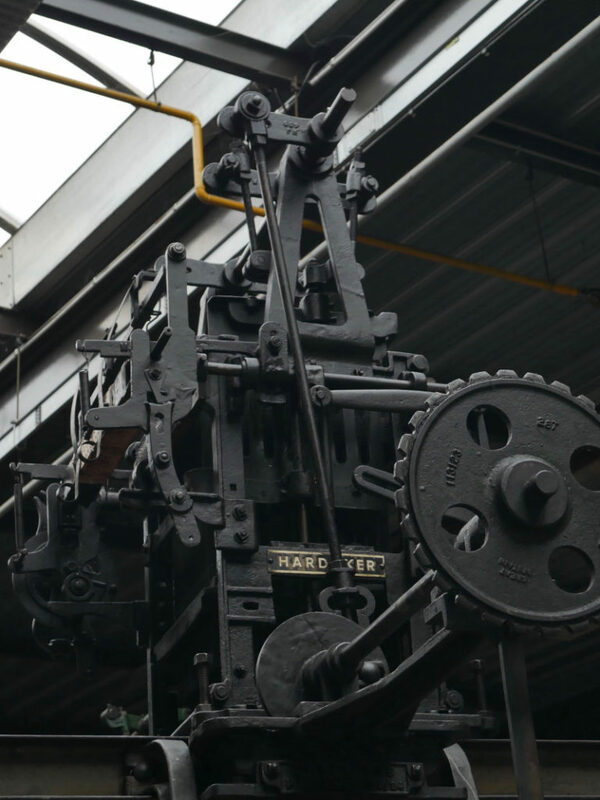 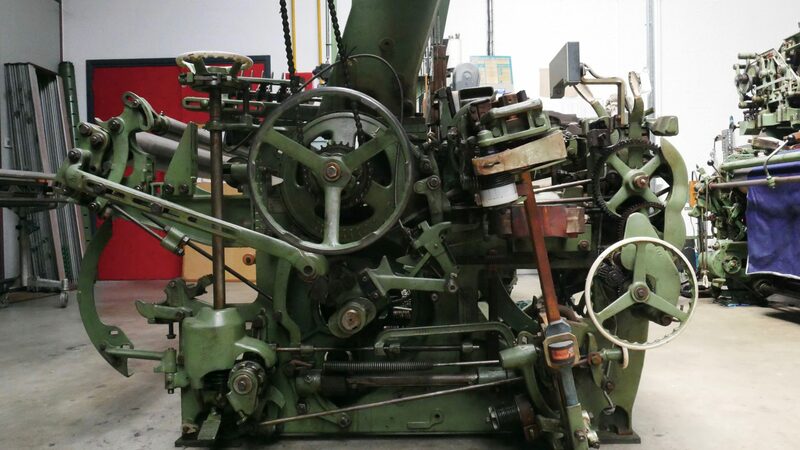 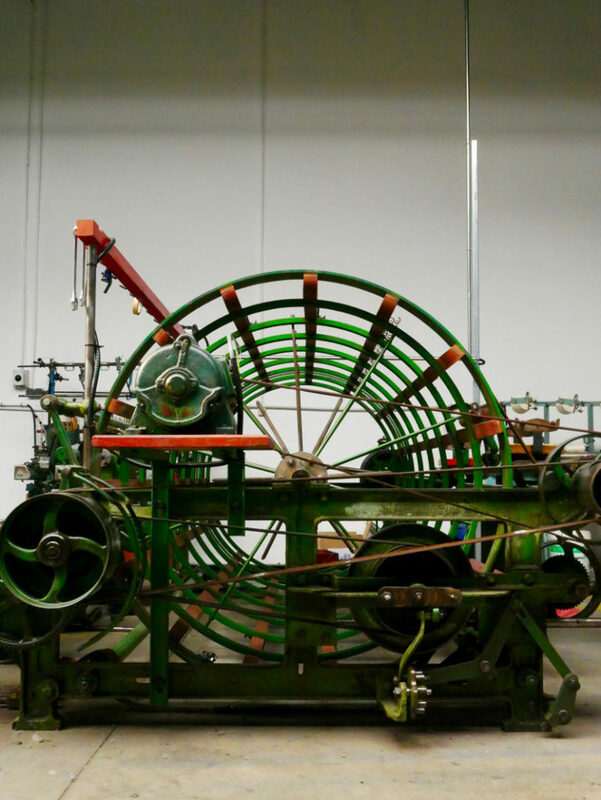 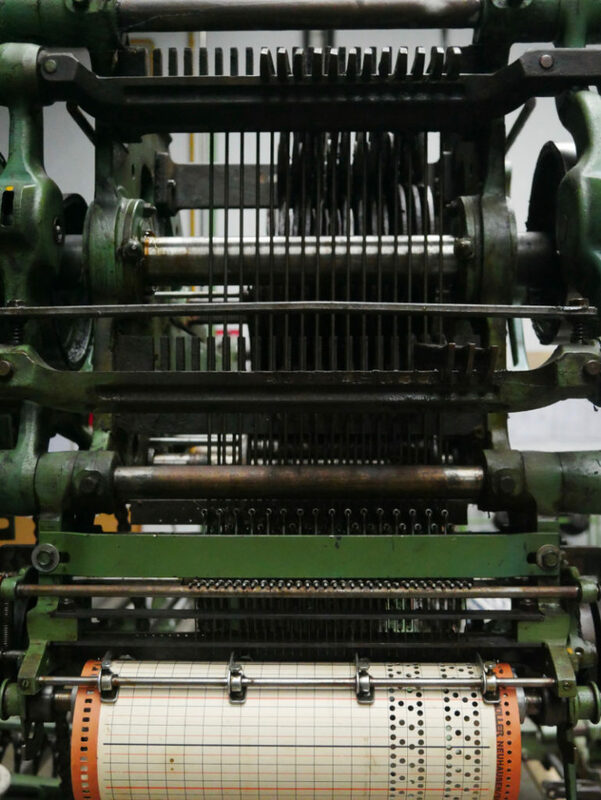 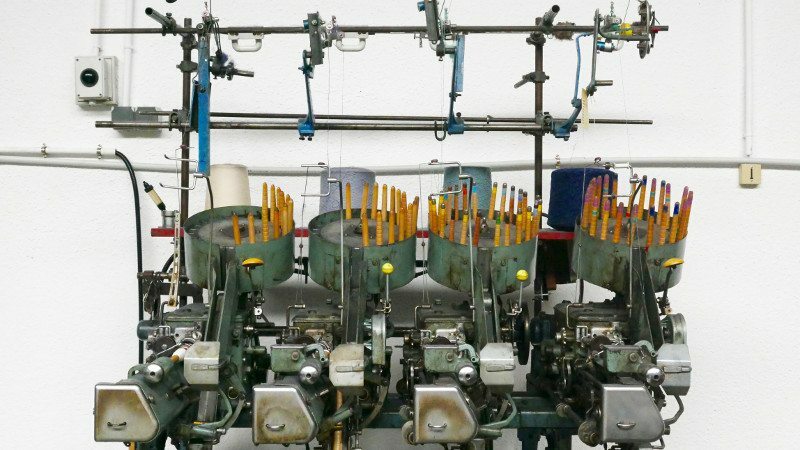 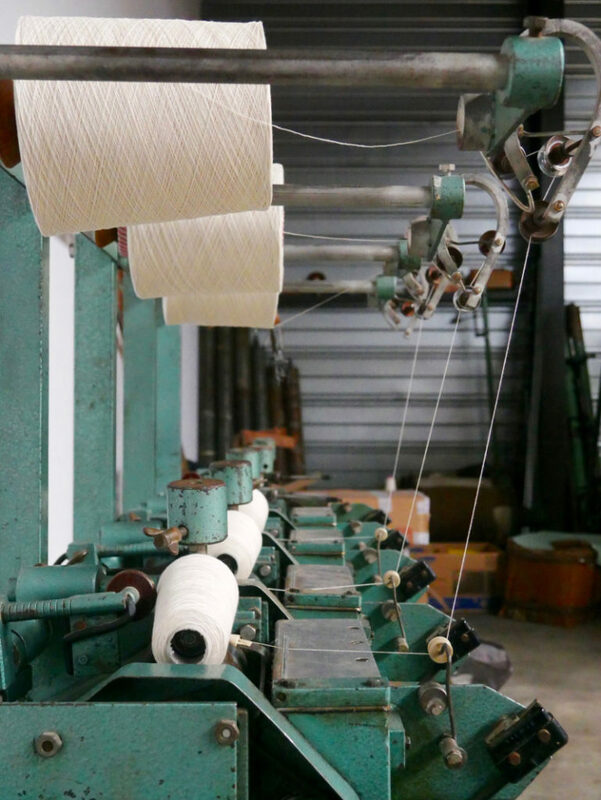 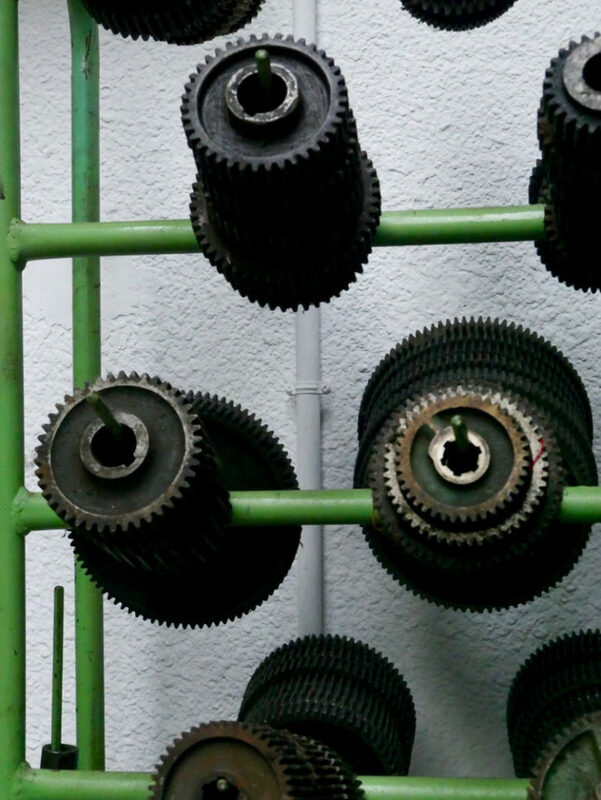 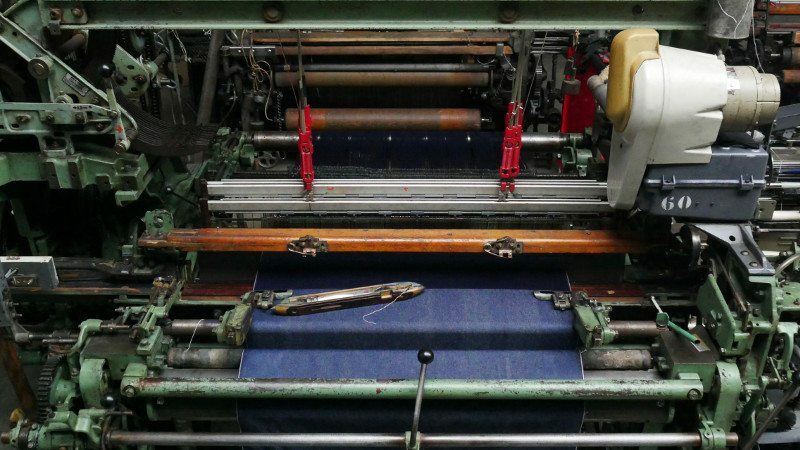 The machines involved in the preparation of the yarns include two winders from the 1970’s and a warping mill from 1907. 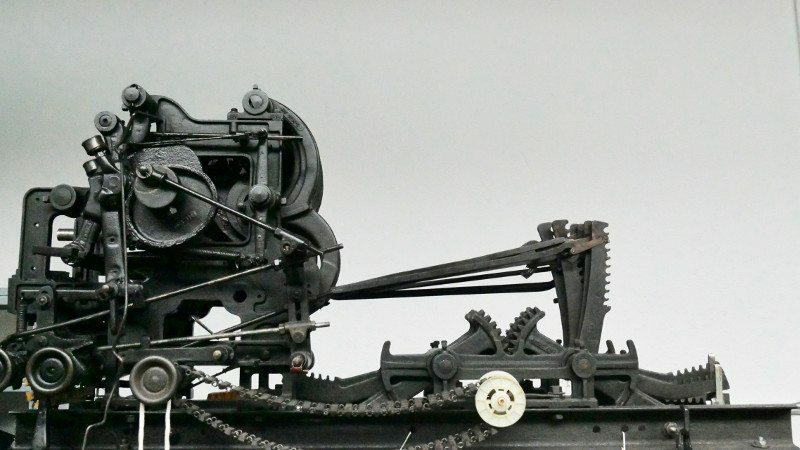 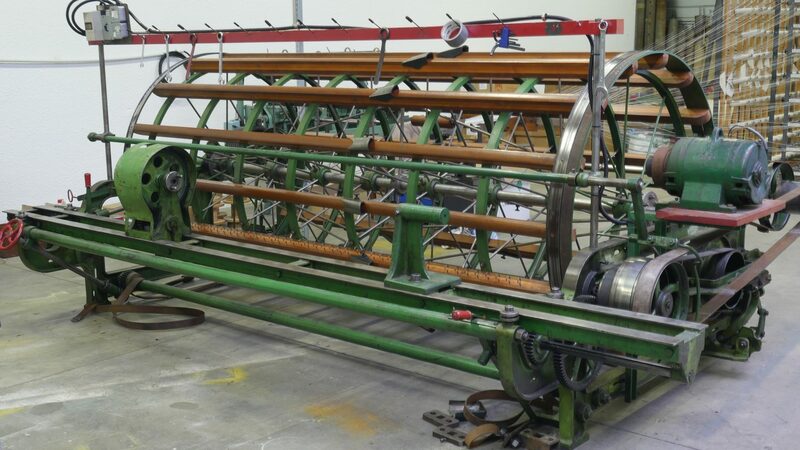 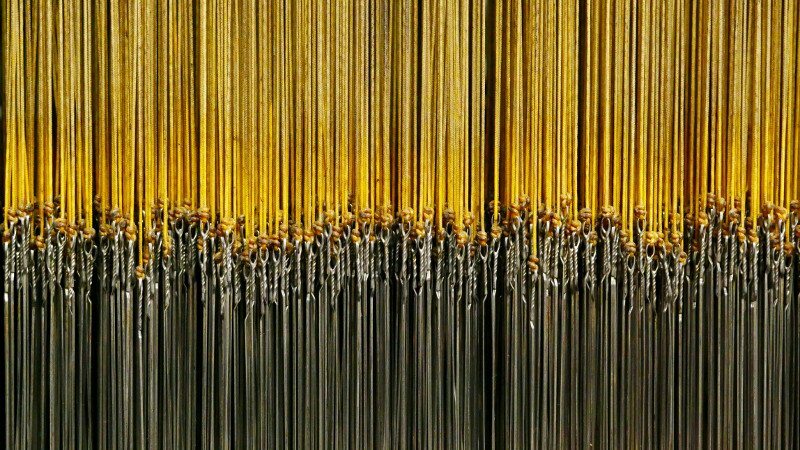 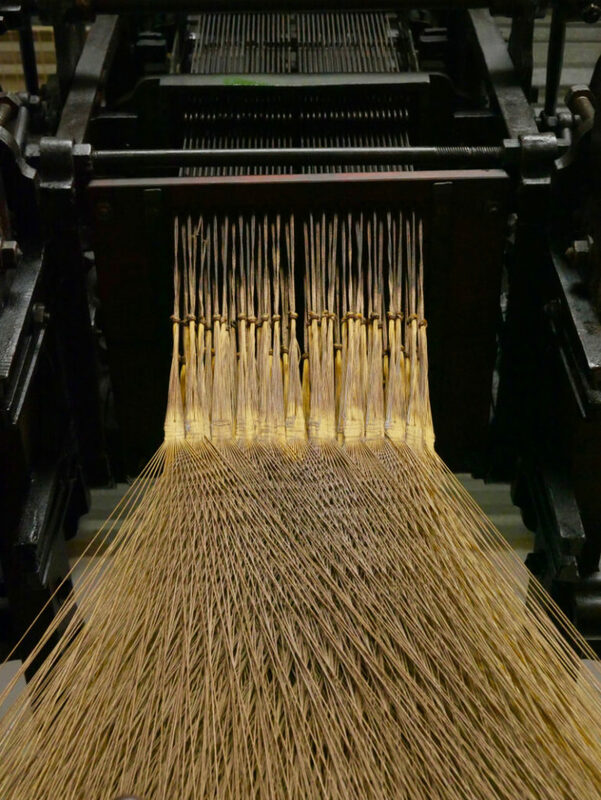 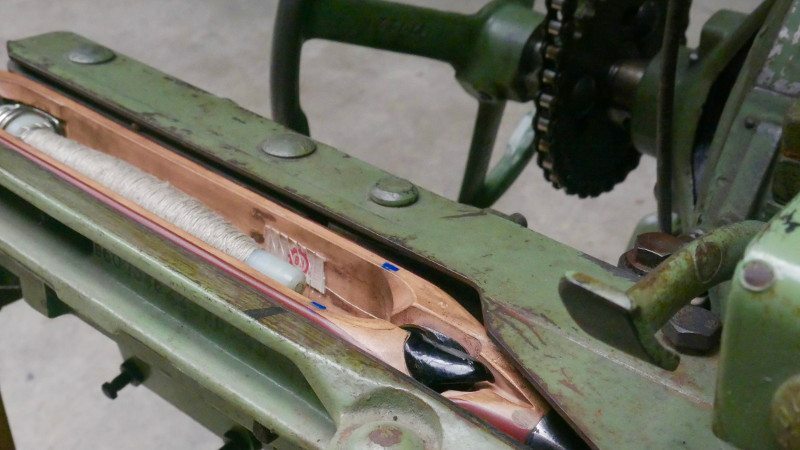 The weaving process requires a selection of complementary shuttle and rapiers looms manufactured between 1892 and 1985. 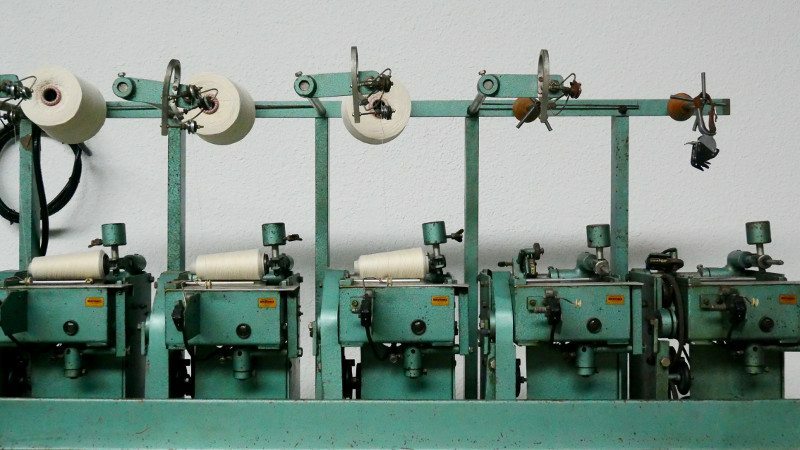 Carefully restored, often customized, we made them new again and ready to weave.